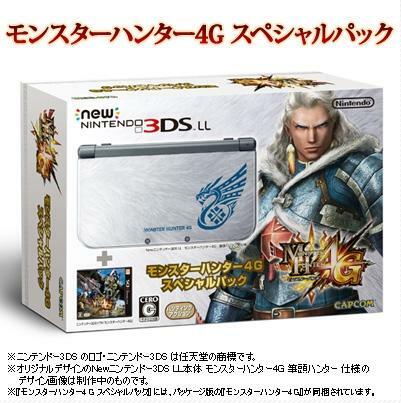 Reservations are welcome for the e-Capcom exclusive Monster Hunter 4G New 3DS LL which includes the new version of Nintendo's 3DS LL, a copy of Monster Hunter 4G, a 4GB microSDHC Memory Card, and a set of six AR Cards. Preorders ship on October 13, 2014. The New 3DS LL features a built-in analog stick, built-in NFC, improved battery life, gyro sensor, a pair of new trigger buttons, HTML5 browser, and a faster CPU. NCS expects to open preorders for the New 3DS LL next week in Metallic Blue and Metallic Black colors. 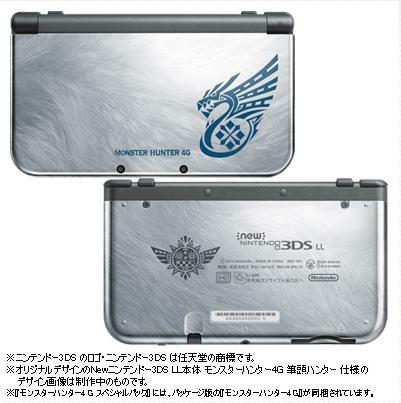 Capcom marks the release of Monster Hunter 4G with an e-Capcom Limited Edition exclusive bundle. Capcom releases the third collection of Monster Hunter 4G 'Stained Design' straps.